Its sometime in the 8th hour of the day and I’m struggling to make it up a steep flight of stairs carved into the side of a cliff. 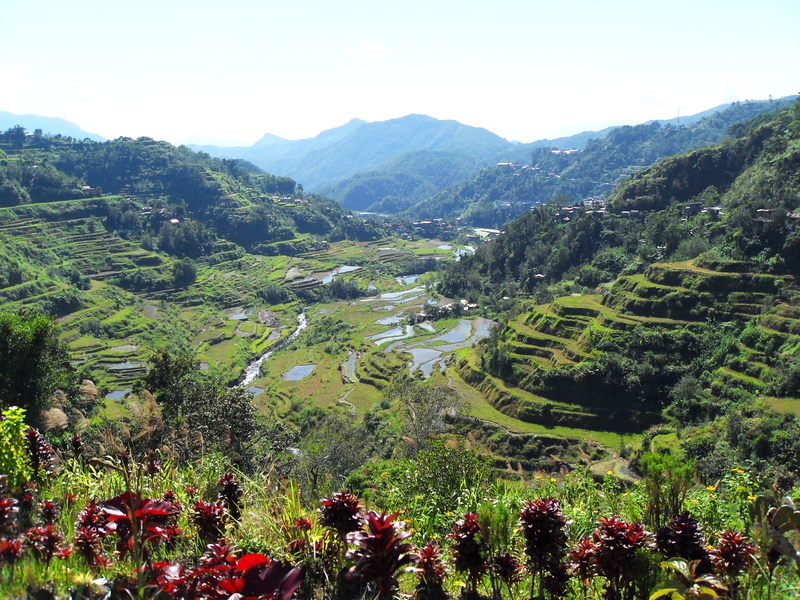 Just the day before, my friend Mandeep and I hiked a total of 4 hours to get to the mountain village of Batad for panoramic, up close views of the rice terraces and the nearby Tappia waterfall. This morning, we woke up around 5am to catch the sunrise from the guesthouse restaurant which boasts fantastic views of the village and the surrounding mountains. 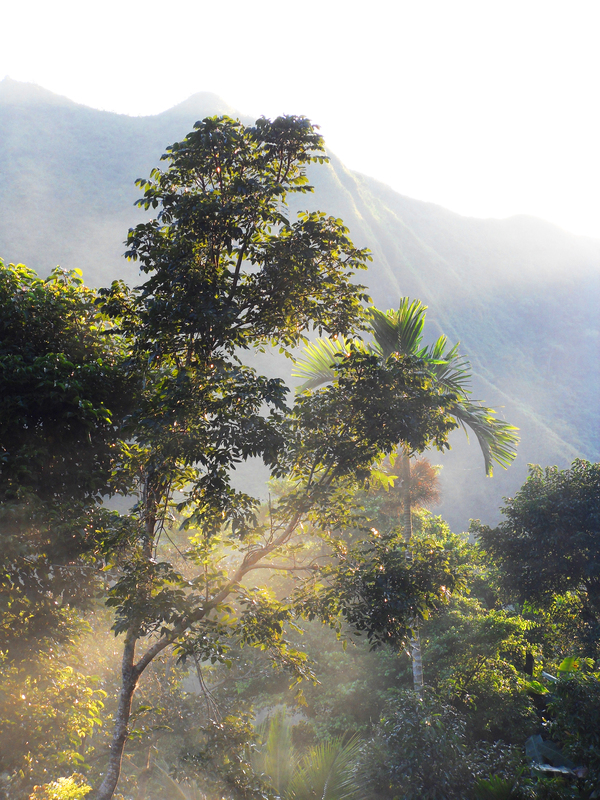 The morning air is brisk but fresh and we get to catch the sun as it breaks over the mountains’ edges. As the whole valley brightens, The quiet bustle becomes visible as everyone begins their daily activities. Back on the stairs, I’m forced to stop once or twice to catch my breath. I’m a pretty fit guy but the combination of heat and exertion challenges me. On the top is a rest stop where the paved road begins. 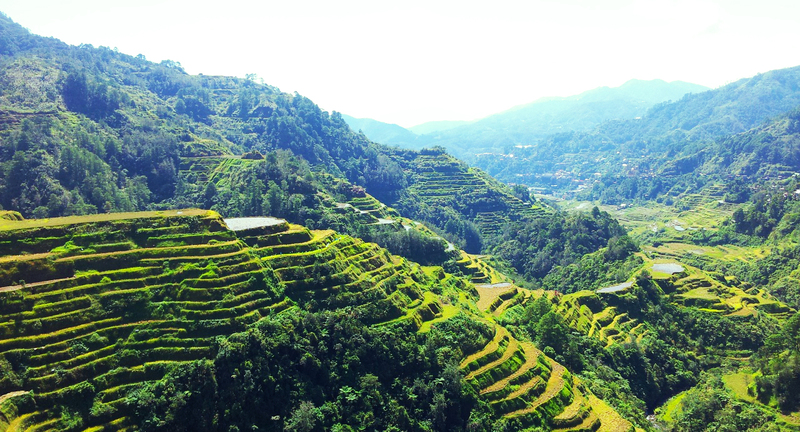 From there, pilgrams can catch a ride from nearby villages to the top and then climb leisurely down the steep stairs that we are trying so hard to climb up. Mandeep pondering deep thoughts during sunrise. Fast forward 1.5 hours and a long downhill walk down on poorly paved roads, we reunite with our driver and he begins to take us to the main viewpoints in the more developed town of Banaue. The views, again, are breathtaking. Each viewpoint has its share of tacky souvenir shops but walk past and the terraces seem to go on forever. Instead of describing them though, I’ll let the pictures do the talking. They go on forever! 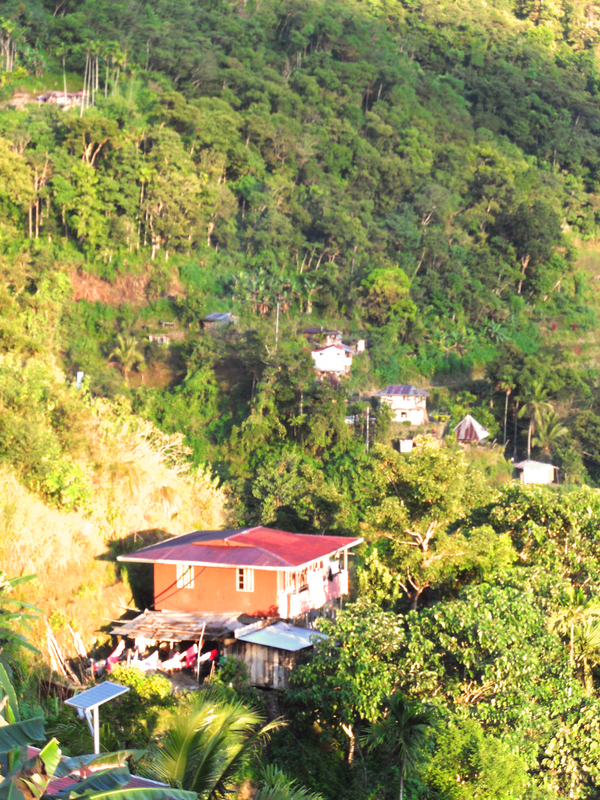 Interestingly, he wealthier families own terraces near the bottom of the mountain. Exploring the viewpoints should take you about 2 hours. Maybe more if you take lots of pictures. Hiring a driver is quite affordable. 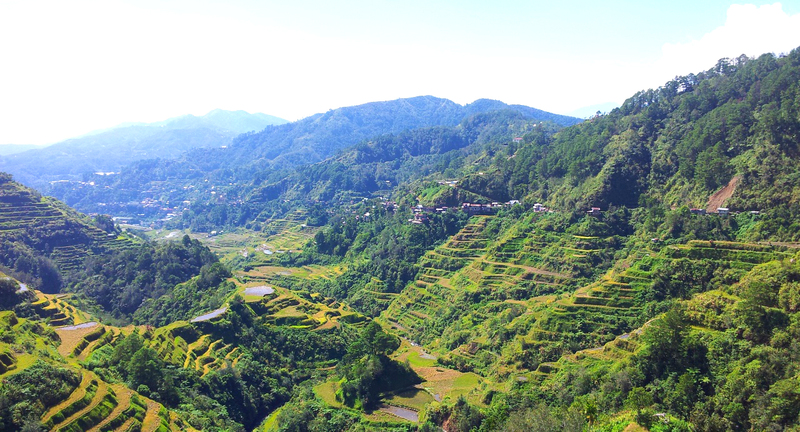 We finished Banaue on a major travel high. We’ve witnessed something absolutely amazing and richly historic and whats better, we worked hard for it so this made it especially rewarding. 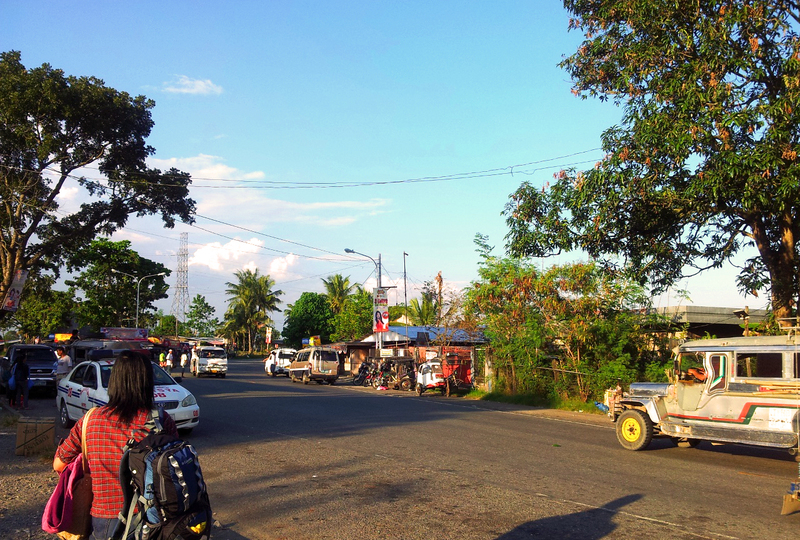 However, now it was time to transit back to Manila to catch a flight to the island of Mindoro. Simple enough right? Well not really. 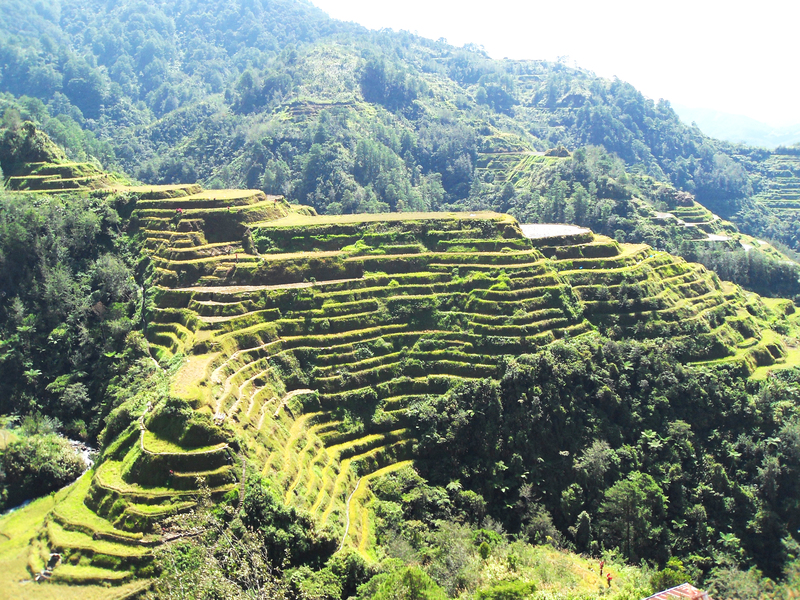 Turns out we came to Banaue on a local holiday and our guesthouse informed us that we should prepare for lots of traffic as people made the return trip from their hometowns back to the capitol. No problem, we’ll just leave early. We manage to leave very early in the afternoon and start taking our series of jeepneys back down to the Bagabag junction to catch our long bus ride back to Manila. Not too many people are waiting. Cool. We might just make it. Bus after bus come and go. None are labeled Manila. At first, most buses stop to take passengers but as the hours pass, buses start zipping by because they are at capacity. We get really tired and start to panic. We are cutting it really close and none of the other passengers seem to know whats going on. This is where we waited for 4 hours for a bus. Brutal as F.
Finally the sun sets and shortly after that, it starts raining. 20-30 people huddle inside an open restaurant but most end up getting wet. A lady asks us where we are heading. We tell her and ask why there haven’t been any Manila buses. Its the Capital! This surely must be a popular route at the end of the holiday. She explained that there are 3 buses servicing Manila, but they go to 3 different districts and thus are labeled as such. There are no buses labeled “Manila”, only Pasay, and 2 others I can’t remember. Our hearts drop. Tons of those buses have passed in the early hours but we had no idea they were our buses! Now, perhaps only 1 in 5 were actually stopping and those were letting on a small handful of people at that. OK, time to panic. Its looking like we are going to miss our flight. Worse yet, there isn’t a hotel in sight that we can crash for the night. Thing look very bleak. 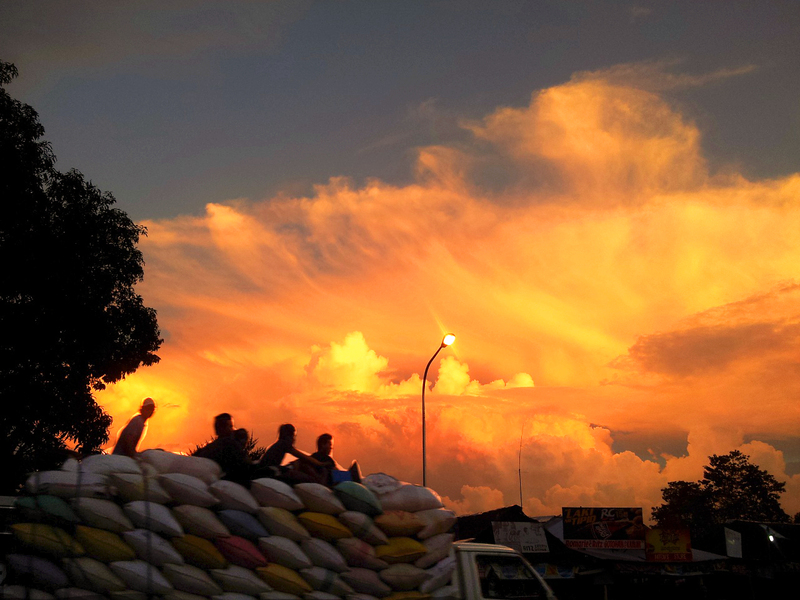 After 3 hours, the sun starts to set. Its beautiful, but we start to seriously panic about missing our flight. Another hour later, we approach hour 4 of waiting at the junction. We are reduced to running after buses and praying that they will stop for us. One bus comes by and slows down enough for us to run up to its door. 4 people manage to squeeze in before it starts driving off again. Mandeep and I are finally on a bus. Yes, hope! But when we get on, the feeling of defeat comes back. The bus is completely full so we have to stand in the aisles for what seems like overnight. At this point we are tired, very hungry (surviving on granola bars) and about to collapse. An hour or so later, a seat opens up and we take turns sitting and napping.This goes on for about 8 hours (we are pushing 24 hours of wake time). Its every bit as brutal as it sounds. We hit a major travel low. The whole time we are stuck in traffic, at times not moving for 30 minute chunks. I’m wondering if we will make our flight. Finally, around 4am, we hit the outer limits of Manila. with an hour before our flight, we get off and jump into a taxi and tell him to step on it to the airport. Traffic moves slow but he cuts through residential streets at highway speeds. We make it to the airport with 40 minutes before take off. After all the struggle, we’ve finally made it! We are elated! However this is short lived. As we line up for check-in, the lady informs us that our flight to Mindoro was booked for yesterday night. Confused, we review our itinerary. There was a mistake in booking and we had bought tickets for the wrong date! After all the trouble of making it back it time, we were about 24 hours too late! Spirits are low and I feel extremely sorry that I’ve made such a stupid mistake in booking. 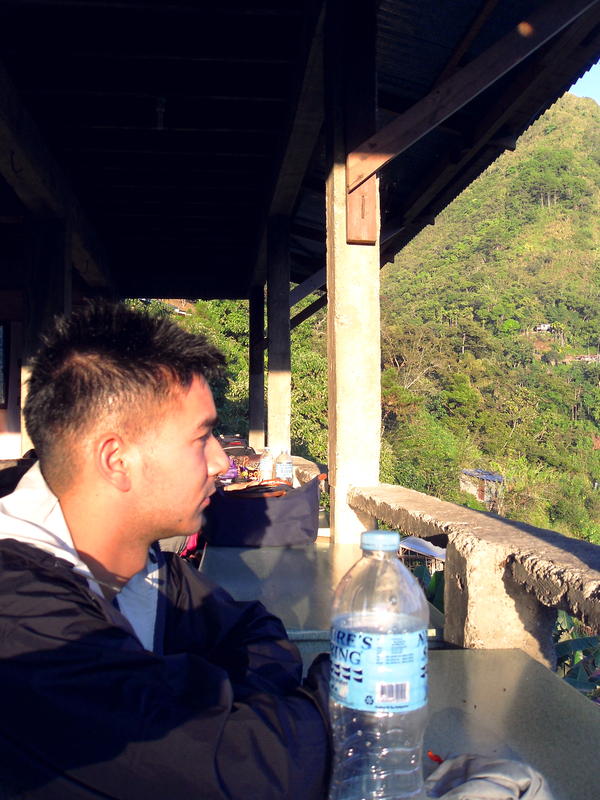 We ponder whether we should still go to Mindoro, or just chill in Manila for a few days. We want to go to the town of Sablayan, the launching point for renowned dive site called Apo reef. Fish, coral and sharks that swim right up to you. We decide to fork out the money and go anyways. We walk into the gate as they are calling our names through the system. “Last call for passengers Mandeep Barn and Pablo Chang”. We run and are literally the last ones to board the plane. A close call but we’ve made it. As we doze off on the plane, I wonder if we’ve made the right decision and what the island of Mindoro will bring to this roller coaster ride we’ve had in the Philippines so far. Travel is a series of ups and downs and chances are, things aren’t going to go according to plan 100% of the time. The lows are bitter, exhausting and downright depressing, but at the same time, elevate our highs to greater heights, allowing us to truly appreciate the golden moments of travel. These are the stories that you will remember for the rest of your lives, although while you’re in the thick of it, we’re going to want to forget this ever happened. The lows, whether they’re missing a flight, a brutal bus ride or having to skip 2-3 meals, make our memories of our highs, like exploring waterfalls, mountains and remote villages, deeper, stronger, and absolutely unforgettable.